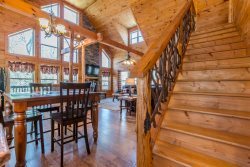 Custom Built Cabin with Sauna, Hot Tub & Wrap Around Porch. Pet Friendly. 3BR 3BA.